6 intrepid explorers set off yesterday evening in to pleasant sunshine and ferocious headwinds from Newburn foraying into Northumberland. The first challenge of the evening came within the first mile – an assault on Hospital Lane. Thoroughly warmed up by now, we 6 headed towards Westerhope before swinging left onto the Stamfordham Road and detouring around Ponteland. Along Limestone Lane and drop down to Dalton, eventually gaining the long anticipated “taily” – we made good speed back to Throckley. 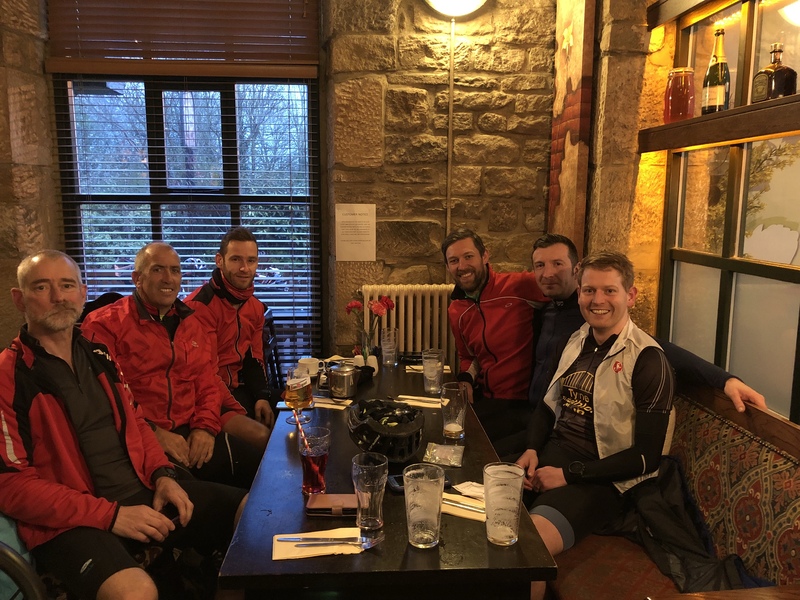 A mad dash down to Newburn, the warmth and refreshments now enticing us back, a through and off peddling a big gear and before we knew it we were back where we started. A nice little bonus was that my Ironman compadre Steven, our international GB racer Yvette and teeny baby Lucia were awaiting our return for a long over due catch up. Must get the bike fixed for next week!